The City is now recruiting for energetic, enthusiastic youth who have a desire to conduct swimming lessons, diving and lifesaving classes; provide lifeguarding duties and patrols pool decks and assists pool manager/aquatics supervisor in the total safety of pool operation and other related work. Please Note: Vacancies for these positions occur sporadically. The hiring department will contact applicants as needed . 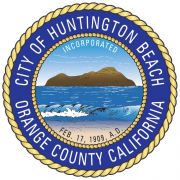 Excellent part-time job opportunities for individuals to provide staff support and customer service for the City of Huntington Beach Community Services Department. The Community Services Department includes Programs & Services and Facilities & Development. Current available positions include Pool Lifeguard and Swim Instructor. Hours worked per week may vary. "The City of Huntington Beach offers a complete American Red Cross Swim Program" . Our program is designed to meet avariety of swimming needs. Whether it is learning new swimming techniques, or recreational enjoyment of the water, we have something for everybody. The swim courses follow the American Red Cross standards. Classes are offered to age six months through adult and teach skills from water adjustment through lifeguarding techniques. Classes consist of ten lessons unless otherwise specified. Our swim instructors are certified American Red Cross Water Safety Instructors and lifeguards. These are Non-Permanent, Part-Time positions. Conduct swimming lessons, diving and lifesaving classes; provides lifeguarding duties and patrols pool decks and assists pool manager/aquatics supervisor in the total safety of pool operation and other related work. The qualifications vary depending on the position. Please see the "Supplemental Questions" for details. Upon a conditional offer of employment, a pre-placement drug screen (select positions), TB Screening and California Department of Justice (DOJ) Live Scan fingerprinting must be completed with acceptable results.